Some sentences, like commands, have a subject that is not stated but is understood by the reader or listener. This is called an understood subject or understood you. When you diagram a sentence with an understoond you, place it in parentheses in the subject place. In this activity, students practice diagramming the understood subject. 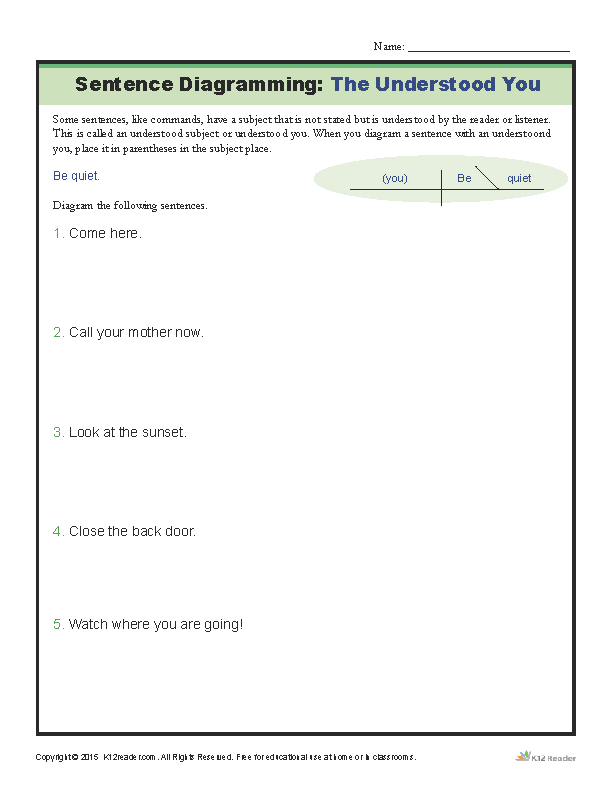 Sentence diagramming is an important part of grammar, and while the worksheet is designed for late elementary school it can easily be used for middle school grade levels.